When I first was chosen as a Brisbane International Student Ambassador (BISA), I never thought one of the projects would require me to be in a video shoot! After our first day of training, Brisbane Marketing Project Manager Ben, asked a few of us to stay behind. 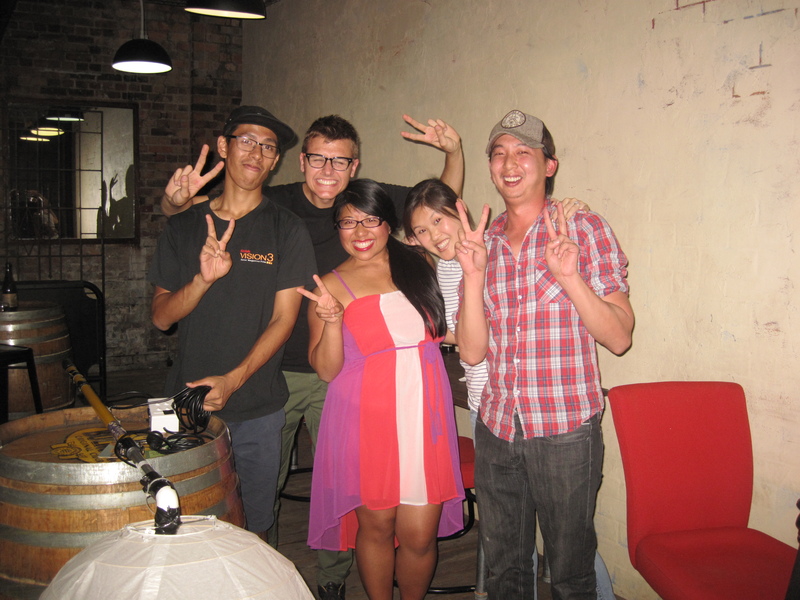 Then, he proceeded to tell us that we’d be featured in our own personal student video testimonial to encourage more students back in our respective countries to study in Brisbane. Everyone would be producing two videos except me since we speak English and more English in the USA. We had the option to decline but no one dared. A little re-cap from the video shoot. 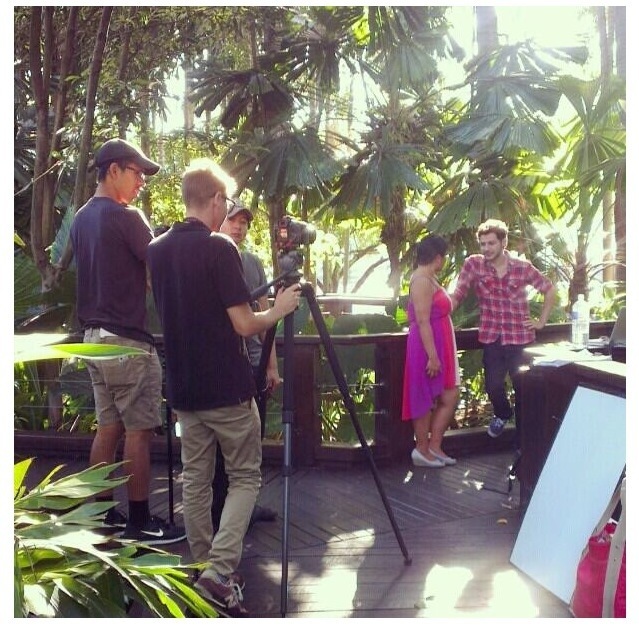 Shooting on the set with my fellow Brazilian Brisbane International Student Ambassador Rubens! 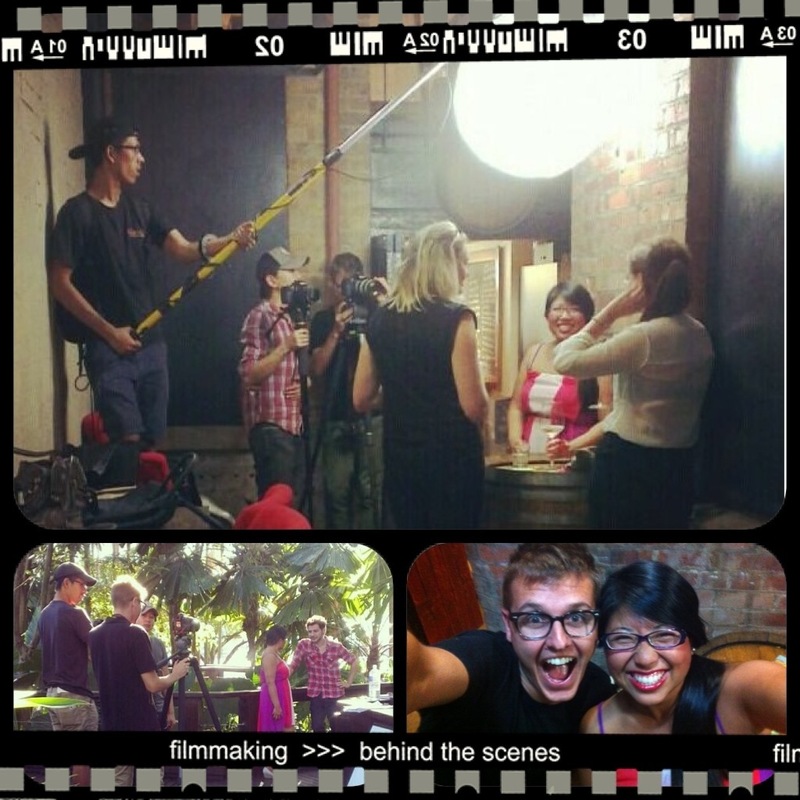 Brisbane Marketing brought in a professional videographer team from the GoldCoast to work with us. I was blown away by the example video that Ben showed us and on the day of my shoot, working with them was the same. They were the real deal. The team consisted of Brody, Will, and Hanley who were fun, creative, easy to work with, and incredibly patient. Andrea who is the marketing guru at Brisbane Marketing was with us for my shoot. We had a great time working together and I think that chemistry was working in our favor while we filmed through the day. I had to bring the energy and substance but we were constantly feeding off one another which made the time go by so quickly. My hope is that my student testimonial will encourage more Americans to study abroad, especially in Brisbane. I’m nervous/excited/filled with anticipation to see what made the final cut. I’ll definitely share the video with you when it is publicly released. Until then, enjoy a few photos taken on the scene.